This book gives a summary of key issues in management consulting, in a step by step chronological way. However, it is directed mainly at those consultants, who know from experience that consulting does not work as smoothly as the manuals suggest, and who have learned through trials and tribulations to take a tragic outlook on the art of consulting. In a consulting situation, the client shares a story with the consultant. If this story deals with important themes and if there are problems as well, it quickly embodies the elements of a dramatic situation and may even assume the proportions of a drama. Having an eye for the dramatic in a client’s situation can be advantageous for a consultant. 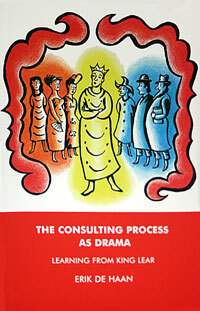 In this book I try to shed light upon these issues with the help of a drama that is highly relevant to gaining an understanding of consulting, leadership and management: Shakespeare’s King Lear. The central theme of King Lear, I will argue, is responsibility.